Personalised wristbands are bands that your club members can use to enter your club and show their support for your organisation. When individuals arrive at the door to your establishment, they can simply flash the band to an attendant and enter the building. You can customize wristbands with different colours to specify varying levels of membership, and you can include the name of your organization on the band itself. Alternatively, you may decide to print your organization’s mission or motto on the wristband. You may also be able to include an image. If you own or manage a children’s club, such as an after-school organization or sports centre, you can even use these personalised wristbands to inspire a sense of community in the children that attend. Children will love wearing an expressive band customized with bright colours, and the band will act as an advertisement to potential club members. Ease of entry. When you provide your members with personalised wristbands, they no longer have to dig through their belongings to enter your establishment. Instead, they can flash their wristband upon arrival and enter the facility immediately. Better traffic flow. Because no one will be stopping in the doorway of your club, traffic can move smoothly at all times. Club solidarity. Club members love to show their support for the organizations they love. Not only will wristbands make visiting the club easier, but they will also allow members to express their loyalty to the club outside of the establishment. Advertising. Happy customers are the best advertisement. When other people see the members of your club wearing their security wristbands, your organization receives automatic positive attention. People may ask members about the club, or they may simply investigate it on their own. Either way, you are reaching more of your target audience. Keeping your members happy is one of the most important parts of running a good club. Satisfied members are more likely to continue coming to your establishment, and they will also be more likely to refer the establishment to others. 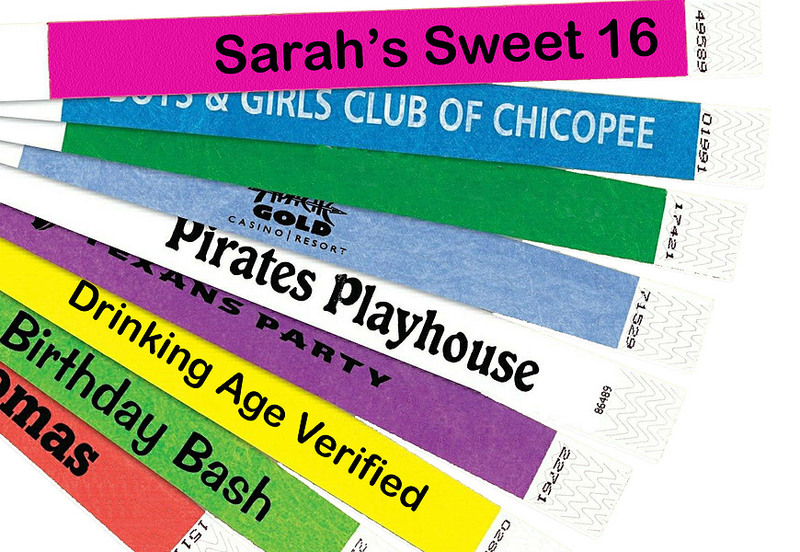 By offering personalised tyvek wristbands to each member of your club, you are making their lives easier. In addition, wearing the wristband will cause members to feel a stronger sense of attachment to the club. Furthermore, the personalised wristbands will serve as free advertising for your organization each time your members wear them in public.